Professional web designing company in North Georgia specializing in crafting user friendly websites and SEO friendly websites for all the business organizations whether big, medium or small. 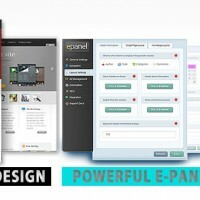 Web Design firm in Georgia offer flash web design, flash intro design, flash panel design and flash animation design services for effective online promotion of your business website. Our professional web designers designing a static website is the simplest way to showcase your products, services and information in an effective way. Web designers Georgia specializes in designing database driven websites, e-commerce website and content management systems. Our professionals can deliver custom made e-commerce solutions, content management solutions in designing your desired websites. Day by day changing search engine algorithms learned how to navigate a dynamic website. Hence, both the static website and dynamic website are the same in a search engines point of view. Search engines play a vital role in internet marketing. Search engines are the primary marketing tools in this current business trend. The real success for your business and for your website lies in being search engine friendly. Nearly 90-95 percent of online transactions are succeeded by means of some top search engines only. Web Sequel LLC welcomes you to outsource web design services to Georgia for getting the desired web solutions at affordable prices. Web Sequel LLC, a Georgia based web design company specializes in providing such exclusive web design services through conceptualization, planning, modeling and executing your ideas in a better way strategically. The Web Sequel LLC team creates great websites that will get your message across to your client. We don’t start things off by jumping right into Photoshop. Instead, we sit and listen. We want to hear you talk about your business, your needs, and your vision. After that, we think. We work through navigational and usability issues; we examine the marketplace to find out what others are doing that works. We take into account your existing brand and audience.